Thank you for your interest in the Food Safety Pocket Guide. As anyone who works in the food industry will be aware, there is a lot of pressure to ensure that the food is kept in the correct state throughout all stages of the food chain. Whether during production, transport, preparation, storage or foodservice, there are a number of vital checks in place so we can be certain food is correctly monitored. And as we’ve seen in recent cases, any slip up can have huge consequences. This short guide provides advice for practical application, a summary of the most important legal principles and limit values, as well as some useful tips. 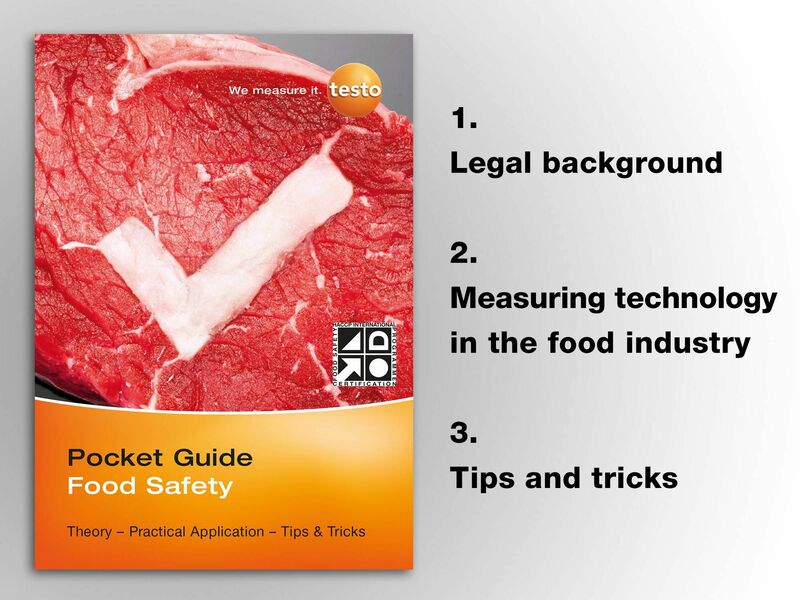 Download your Free Testo Food Safety Pocket guide by registering your details below.